Sleep is precious. It allows us to grow, recharge, restore energy, and ultimately relax. We all have heard about all the ways to increase the quality of your sleep including room temperature, restricted access to technology, and exercise to unwind. An additional method to improve sleep is investing in the right pajamas. The best sleeping outfit will have you feeling comfortable, breathable, and cozy. Let’s take a look into the world of the best men’s pajamas. Rather than just throwing on random soft clothes before bed, it’s a great idea to invest in a couple of pairs of high-quality pajamas designated only for sleep. Pajamas are typically loose-fitting, comfortable clothes worn as a pair to sleep in. They can also be worn in the evening or morning before or after sleep to induce a feeling of relaxation. Nowadays some men will only wear their pajamas when lounging like jeans or sweatpants just don’t cut it. Before bed, it’s great to instill a night time routine. This can signal to the brain that it is time to wind down and begin thinking about the rest. 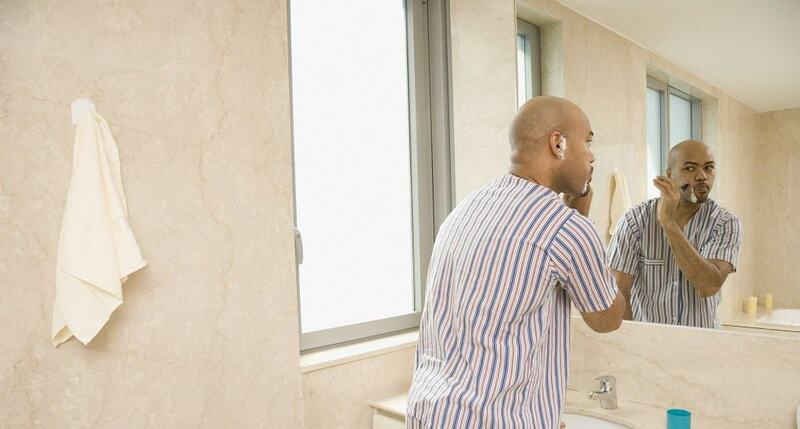 In your routine you may slip on your favorite men’s pajamas, brush your teeth, turn down the lights, wash your face, and apply beard oil before going to bed. For the purpose of this article, we are going to focus on two-piece men’s pajama sets. 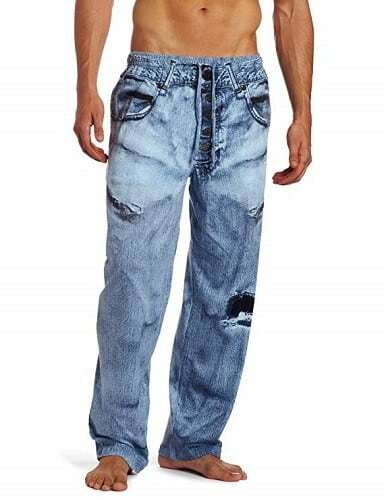 These are typically comprised of a button-down shirt and pants or pants and a t-shirt. Within this type of pajama set, there are multiple different fabric options that will change the look and feel of the pajamas. Let’s explore each fabric to learn more. Polyester is usually not the best choice for sleepwear, as it can often constrict airflow to the body. This can keep you hot under the covers, making for an uncomfortable night of sleep. Silk is one of the most beautiful and definitely the most luxurious fabrics. It can create extremely comfortable sleepwear due to its gentle stretch and ultimate breathability. Silk is also said to be good for the skin, preventing wrinkles while you sleep. Cotton might be the most popular clothing fabric! It is affordable, comfortable, and breathable. It feels delicate to the skin and makes a great sleepwear fabric due to softness and airflow it allows. It may absorb moisture, however, becoming damp from excessive sweat. If you tend to sweat while sleeping, this may not be the best option. Linen is made from the fibers of flax, creating a durable but light material. It comes at a premium price, but it is lightweight and remains comfortable during a long night of sleep. Rayon is a synthetic fiber that actually can be a great option for sleeping in! Made from wood pulp, it is cooling and guarantees breathability. Supplex is often viewed as a man-made cotton substitute. It is a fast-drying, figure-hugging fabric that remains breathable through the night. Its lightweight nature makes it a good option for sleeping during the warmer times of the year. Cashmere is soft and luxurious, but not the most breathable fabric. Consider sleeping in cashmere in the winter time to stay warm, but you may find yourself constricted if worn during the summer time. Which Type Are the Softest Pajamas? The main contenders for softest pajamas are those made out of silk, cotton, or cashmere. Silk is the smoothest material to the touch. It is known as a luxuriously soft fabric. The price of silk may keep buyers away, however, but it is hands down the softest option. Cotton is a great competition against silk in the running for softest pajamas, especially because of the price difference. While the price may be shockingly lower than silk pajamas, the softness will not be drastically reduced. It is not as smooth, however, which does keep it from the top ranking of softest pajamas. Cashmere is a plush option for colder nights. 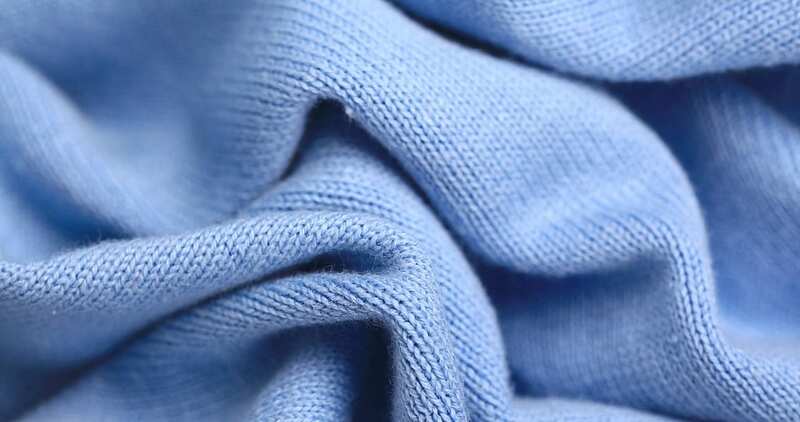 Cashmere is soft and cozy to the touch, but it will quickly get hot in sleeping conditions. If the environment is brutally cold, definitely reach for a pair of cashmere jammies to stay warm and cozy. If you prefer softness all around, you might also be considering trading in your facial hair for a smooth and soft face. In that case, we’ve got the best beard trimmers reviewed for you to take a look and take the next step towards a silky-smooth life. As touched on above, cashmere is a great fabric option for pajamas during the winter months. If you live somewhere it gets cold during the winter, you know how brutal it can be during the night hours. Temperatures drop during the night and before you know it, you could be waking up shivering because you aren’t properly dressed for sleep. Consider a thick pair of cashmere or flannel pajamas along with a pair of cozy socks as your go-to men’s pajamas for winter. If you don’t think it will be cold enough for a full set of cashmere pajamas, you could layer up on your cotton or silk pajamas. Both materials can be insulating when needed, and the addition of multiple layers of fabric will make it easy to strip down to a comfortable level if you begin to warm up during the night. 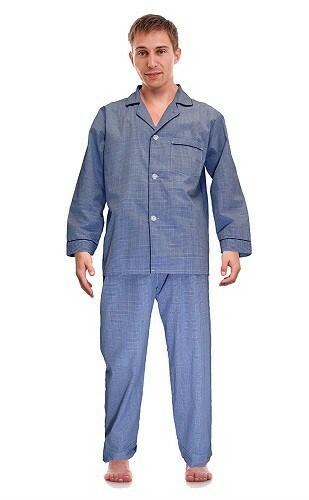 The best men’s pajamas for summer will be a pair that is light, breathable, comfortable, and not too restricting. Fabric-wise, you should consider silk, cotton, linen, rayon, or supplex. Silk, cotton, and linen remain in the top three spots for breathability, so keep especially those in mind. You will want a pair that remains loose on you through the night and won’t get damp if you happen to sweat. Damp, tight, clothes will stick to you, and it won’t make for any quality sleep. Instead, look for a non-restrictive fit in silk, cotton or linen. Short sleeves and shorts instead of long sleeves and pants would also be a smart choice. During the summer, facial hair can also get hot and become a real nuisance. If your beard is getting out of hand, consider trimming it or choosing a different beard style. Not all beard styles are hot and itchy during the summer! Also, check out our list of best beard care products once you get it to a manageable summer style. The best way to wash, care for, and handle men’s pajamas is mainly determined by the type of fabric used. For the sake of this article, we’re going to detail the best care routine for cotton, silk, and polyester, as they are common pajama fabrics. Cotton is wonderful because it is durable and easy to care for. For best results, machine wash cotton pajamas with similar colors in the warm or cold water and tumble dry low to release wrinkles. Caring for silk is a bit trickier than for cotton. You’ll want always to hand wash your silk pajamas for best results, using a gentle cleanser or detergent. Let the fabric soak in water and cleanser for at least an hour, then massage by hand and rinse in cool water. If the silk pajamas are wrinkled after washing, you can iron very carefully on low to get beautiful, crisp silk. Turning your polyester men’s pajamas inside out before throwing them in a machine washing cycle with similar colors will help to prevent any snags on the fabric. They can then be dried in a machine on low. You want to be careful of over-drying polyester, as the synthetic fibers can begin to shrink over time. How to pick the right size for you? In general, it’s usually a safe bet to pick a size up from your normal size when picking men’s pajamas. But don’t pick any larger than that or you could end up tripping while sleepwalking. If you pick too small, you could end up restricting your movements. Remember, you want your sleepwear to be comfortable and breathable, not restricting your body or movement during the night. Most product pages will feature a sizing chart made to help you specifically find the right size for that style and brand. While washing, can you use bleacher and on what type? Bleach is safe to use on any natural fabrics such as cotton and linen. You should avoid using bleach on non-natural fibers such as polyester, silk, or any materials containing plastic or rubber unless the care label instructs otherwise. Using bleach improperly or on fabrics, it should not be used on could result in color warping or breakage of fabric fibers over time. Now you have a closer look at what makes men’s pajamas beneficial, the fabrics that affect the feel and wear of the pajamas, the best pajamas for certain circumstances, and some frequent questions involving men’s pajamas. After this, you should feel informed and ready to make a good purchasing decision. Remember, it’s not just beard growth and testosterone that make a man a man, it’s also the care they put into themselves to remain at their best. A good set of pajamas is a great place to start when it comes to self-care. Take a look at the best brands and pajama sets out there, and soon enough you’ll be enjoying the most comfortable sleep of your life. 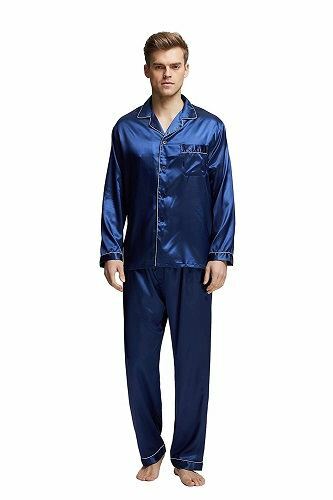 Carefully tailored with one front pocket on the chest, Tony & Candice Men’s Satin Pajama has that silky feeling that will ensure you get a comfortable sleep every night. The item comes as a two-piece set made from pants and a long-sleeved, full button-down top with notch collar. You get to choose from six colors, but what really matters here is that you are getting the pajama set made with 100% premium satin polyester fabric. The fabric is soft and smooth at the touch and you will barely feel like wearing anything because it’s very lightweight. Elastic waist with a functional button fly is inevitable and works awesome in securing a custom fit for everyone. Pay attention to the size though and don’t compare these pajamas with the size of your usual clothing before checking the length, bust, waist dimensions and other features. If you are looking for a light, comfortable and easy to sleep in pajamas during the summer, Hanes Men’s Woven Pajama Set is all you need. Note that the fabric is relatively thin, so don’t expect that you will be able to wear them in the cold winter nights. There isn’t a button at the top that can make this possible. Also, you won’t find any pockets in the pants, but what you will love is the adjustable waistband with elastic. This means that you can adjust the waist to fit the shape of your body. Being made with 55% cotton and 45% polyester, this pajama set might feel a bit stiff at the touch. However, they are ideal when you want to wear something light, yet with long sleeves in the summer. You might have noticed that these pair of pajamas looks classically. The fact that there is a button fly enhances this impression even more. Composed from a delicate cotton/polyester blend, RK Classical Men’s Woven Pajama is a two-piece set with long sleeves and long leg pants. Pajama top has a chest pocket, an open collar and a button-down closure. The arm holes are very spacious and comfortable. The bottom part of the pajamas is fully wide cut which allows easy movements in the bed and also ensures the maximum comfort. Adjustable buttons guarantee a perfect fit. The waist is covered with an elastic waistband that will accommodate to your body’s shape. One thing that might not work for you is the stiffness of the fabric. Let’s face it – the cotton/polyester combination is not as soft as satin or silk. However, the fact that the pajamas are quite thin makes them lightweight and pretty comfortable overall. Are you the biggest fan of denim that sometimes wishes to sleep in it? Great, because MJC Men’s Denim Pajama Pants will make that possible. These pajamas are designed with the faux pockets on the front and back that serve as a decoration and are printed to look like denim. Although these pockets are fake, the ones that you can find on the left and the right side are real. The waist features an open fly, elastic waistband with drawstring cord. The item doesn’t include a fly, so don’t expect to find it. Providing that the material is very thin and lightweight, you can guess that these pajamas are mostly for summer. Bear in mind that they are made entirely from cotton which means they are going to shrink after you wash them. That’s why the best thing you can do is choose one size bigger so that you can wear them comfortably even after they get smaller from washing. 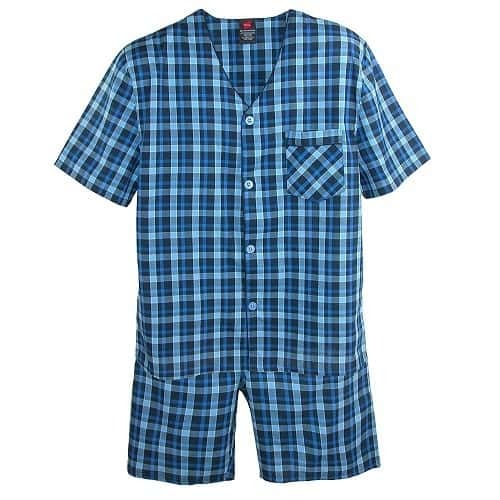 With short sleeves and legs, Hanes Men’s Pajama Set is a classic all year long. These elegant pajamas are made with 55% cotton and 45% polyester. The blend of these two materials is easy to maintain. The only thing you need to do is wash them with cold water in the washing machine and tumble dry later. Alongside with the short sleeves, the top features a plaid V neck, a four button closure and a chest pocket. The bottom part has an adjustable waistband to fit perfectly every man’s body shape. The whole set has a fuller cut for easier movement and added comfort. Some buyers, however, reported that the product is slightly bigger in some areas and smaller in the others. Providing that the set costs significantly less than some other similar products, you really get what you pay for. Keep in mind that plaid patterns can vary within the selected color. 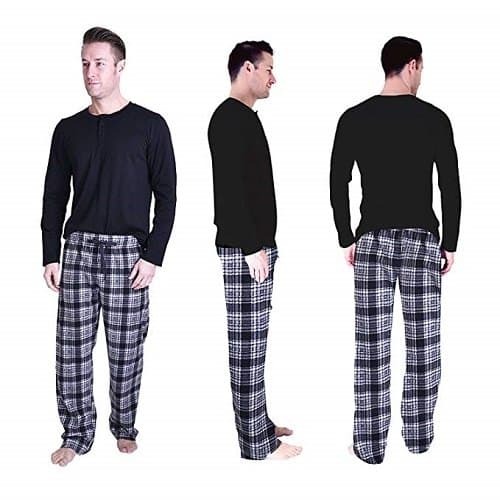 Available in various sizes, Cherokee Men’s Pajama Set are very durable and made of 100% cotton/polyester flannel blend, so they feel extra cozy and soft on the skin. Even after multiple machine washes, they won’t fade. One thing that can happen though is that they shrink a little, but they are made of cotton after all, so this only makes sense. Although these are summer pajamas, their sleeves are long. More precisely, the top is a stylish 3-button Henley jersey, while the bottom is classic plaid colors. It features an elastic waist which you can personalize to fit the tightness that suits you the best. 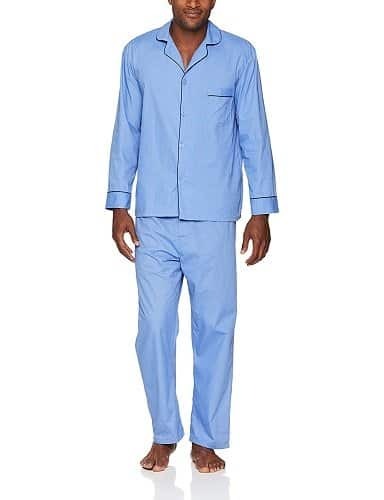 Exceptionally roomy and comfortable, this 2 piece pajama set for men will not lose its color and shape even after multiple washings in the machine. What you get with this pair is a great value for the money, providing that the price is a bargain deal compared to other similar products. Coming in various colors, Tony and Candice Short Sleeve Pajama Set are lightweight because of the material from which they are made. 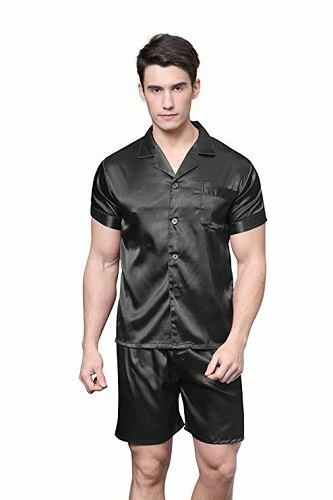 High-quality silk-like polyester satin is very comfortable, but you can only wear these pajamas in the summer because they have short sleeves and bottom. The top is a full button down and it includes the notch collar and one front chest pocket. The bottom part comes with an elastic waistband that has a button fly. Despite the elastic waist, some customers still had a problem with the tight waist. Another thing you should pay attention to are the colors that tend to be runny after you wash the pajamas in the washing machine. Due to this possibility, you should be extra careful not to mess up your sheets, especially if they’re white.